The last pair of dungarees I owned were a hideous lime green. 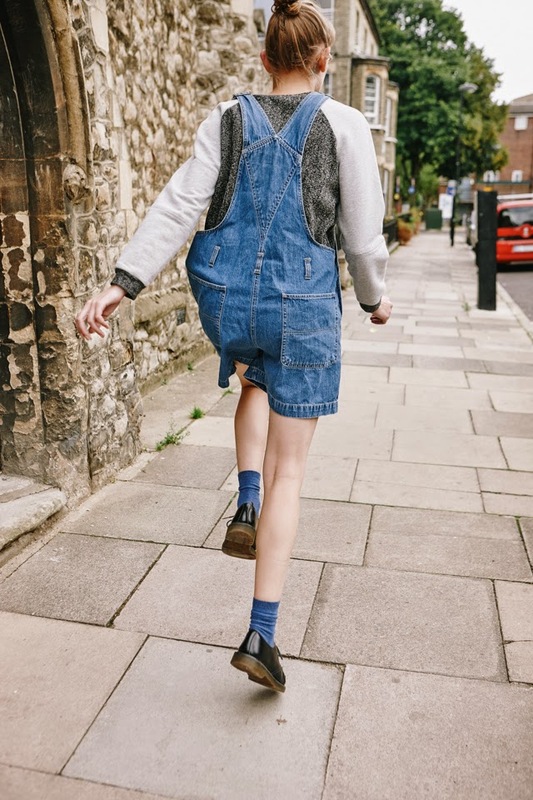 I was seven-years-old, give or take, and my Mum had picked them up for me at a car boot sale... although I don't think I could pull of that sickly green colour anymore, I do rather like this classic denim style, which were found whilst rummaging in Beyond Retro's Cheshire Street store. Have you ever been? It's like a treasure cave, be sure to visit if ever in London! 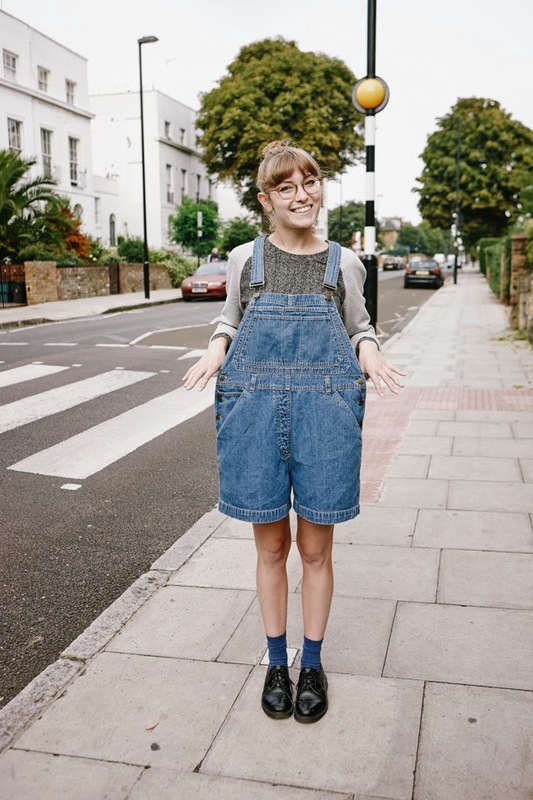 Any way, I think the key to a good pair of dungarees is size... the bigger the better! 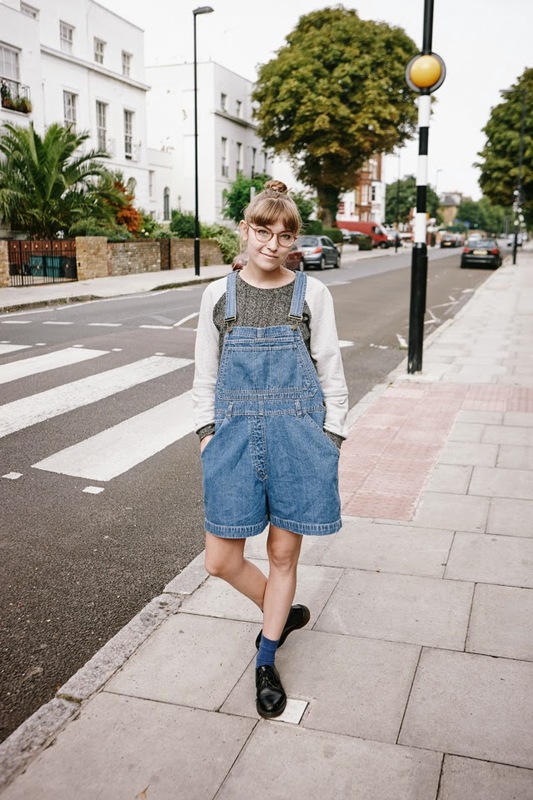 Oversized 'rees are cute, fun and flattering, just like big high waisted shorts - yup I've most certainly, (finally), joined the dungaree bandwagon. 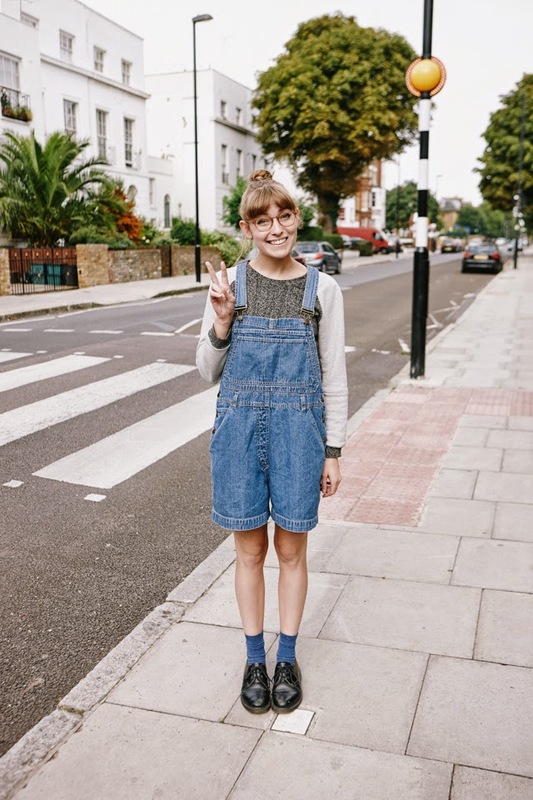 Big fan of the dungarees!! I have some myself and they are so comfy. Instantly feel like a big kid in them!